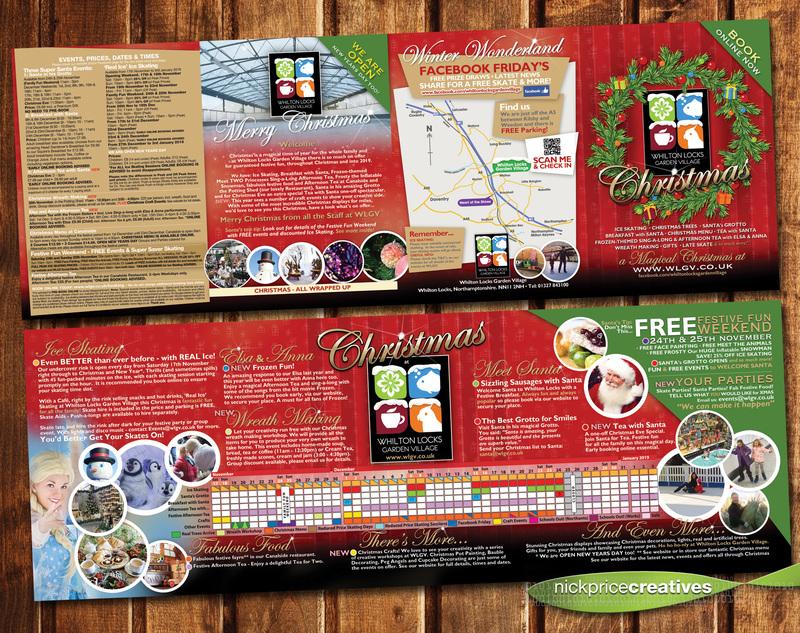 Christmas leaflets for Whilton Locks Garden Village approved and off to print. A5 folded, finished size. 10k print run. There are 106 days to Christmas. 15 weeks – eeeks, more like!